Cliché, typical Blogmas post I know, but I do love a good cliché! Nothing shouts Christmas more than sticking the 'Now That's What I Call Christmas' playlist on whilst present wrapping, or indeed, snuggling up with a good old film! I must say this list wasn't easy, I have so many favourites, but I eventually managed to whittle down to just 5 of each, I deserve a medal. 1. Elf Of course, my number 1 favourite Christmas movie of all time has got to be Elf! What isn't there to love about the adventures of Buddy the elf as he travels to New York to find his dad? It's such a fun story and an all round feel good film, I could watch it on repeat for days. 2. The Polar Express I find the story behind The Polar Express extremely magical, which kind of makes it a beautiful film. It's an animated film which follows a boy who doesn't believe in Santa. One night he's awoken by a train arriving outside his house, The Polar Express, and hops on board to the North Pole - a great Christmas film for the whole family. The stories of the characters that the boy meets along the way really warm my heart and give you an understanding of what Christmas truly is all about. 3. The Grinch Everyone loves The Grinch, it's such a classic. The grumpy, scrooge-like green character actually turns out to be an alright kinda guy with a back story that makes you feel quite sympathetic towards him! I'm sure literally everyone has seen The Grinch, and if you haven't... Shame on you (jk). There's no specific reason as to why I love this film so much, apart from adorable mini Taylor Momsen, so cute. It's just a bloody great Christmas movie! 4. The Greatest Store in the World I stumbled across this film whilst I was flicking through the TV channels when I was younger. It was shown on the CBBC channel, (I know right? Old School) but actually turned out to be a fantastic watch and still is to this day. It's not one of the more popular films so I'll go ahead and explain. The basic plot of the film is about a family made up of a mother and two daughters who end up secretly living in a department store due to circumstances. Now, I don't know about you, but when I was younger, the thought of being locked in a toy store was the ultimate dream. A couple of thieves then attempt to steal from the store and it's all downhill from there. It's your sort of classic good guy vs bad guy children's film, but fun to watch all the same! 5. 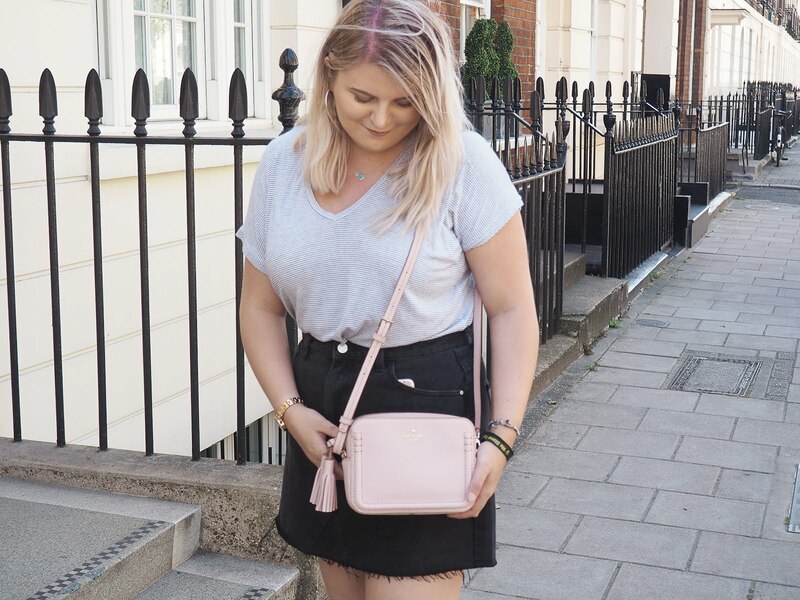 The Holiday I couldn't get away with writing this post without slipping a cheeky Rom-Com in the mix, and it includes Jude Law so I mean hellooo. I am partial to watching a fair few romantic comedies and if they are based around Christmas well... Even better! The Holiday is such a lovely film that shows the story of two women, one newly single and the other in a very confusing situation with an engaged man, who decide to swap homes over the festive period. Think of it like the early 2000s equivalent to Airbnb. It's such a hilarious film and I'm sure pretty much everyone out there can relate to it in one way or another. Instead of making two separate favourites posts, I decided to do a 2 in 1 as I'm certainly no Simon Cowell and can think of no other way to describe a song other than "it's catchy" and "it's festive". As you have probably noticed, I'm a fan of all the songs that were made before I was born, no particular reason. To me, they are the songs I was brought up listening to and the ones that hold the most memories. For example, marching round my living room when I was little in time to 'Stop the Cavalry', wasn't I cute? I hope you all enjoyed having a peek into my Christmas favourites, what are some of yours? AH same, it's so good haha! Ugh they're all spot on!! I love Elf, and The Grinch is also one of my fave films. Fairytale of New York has to be my favourite song - it's so fun to whistle to haha! 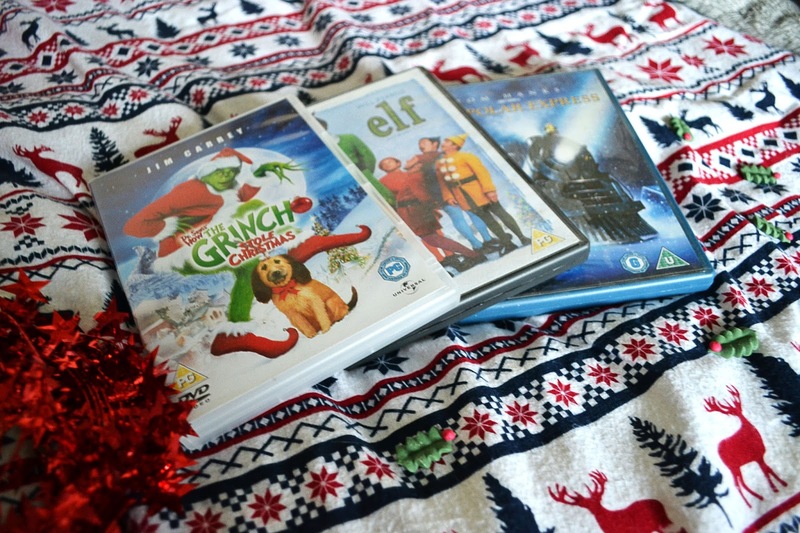 Elf, Grinch and The Holiday.. yes yes yes. I see a worrying lack of Buble songs but I love all the songs you chose, especially Fairytale of New York - The Pogues, Kirsty MacColl! I always forget about how much I like the Grinch until it's on TV every year and it makes me so happy! The Holiday is a lovely film, besides the fact it makes me feel more alone than ever haha! Do They Know It's Christmas is one of my absolute FAVORITE Christmas tunes and I LOVE Grinch and Elf!!! I also love old songs, hon! Your top 5 are amazing! I love these types of posts I am writing one myself but same as you trying to narrow it down to a few films...I love the ELF film but haven't seen it this year as don't have it on DVD and can't see it on Netflix :( !!! I shall let you know once I've done my post.